John H. Leith's classic examination of what it means to become a member of the church. This study was designed for junior high communicant classes, but is also an excellent resource for church officer training and new member classes--for adults and young people alike. Leith confronts the choices and questions that arise for young people, or anyone for that matter, trying to understand their place in the priesthood of all believers. 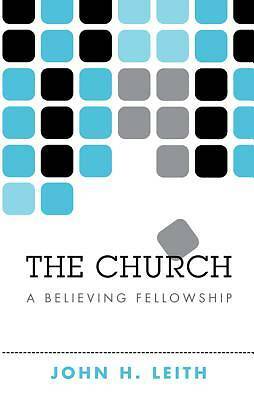 He enlightens readers to the meaning of the church while he explores the vows taken by those entering the communing fellowship of the church, the nature and faith of the church, and the worship and work of the church. John H. Leith (1919-2002) was the Mary Elizabeth Pemberton Professor of Theology at Union Theological Seminary in Virginia, where he served the church as a theologian and teacher from 1959 until his retirement in 1990. Of his many books are Assembly at Westminster: Reformed Theology in the Making, An Introduction to the Reformed Tradition: A Way of Being the Christian Community, and John Calvin's Doctrine of the Christian Life.